I recently stayed at Beaches Negril in Negril, Jamaica with my husband and 4 year old son. this resort is amamzing and perfect for adults and kids of all ages. There were so many activities ranging from water sports such as snorkeling, glass bottom boat rides, kayaks, water skiing, and banana boat rides to land activities like beach volleyball, tennis, lawn chess, etc. Beaches Negril sits on the most amazing stretch of Negril’s seven mile beach. If you are a beach lover, this is the place to be! They also have two main pool areas each with the always popular swim up bars. Not only do the adults enjoy that feature but also the kids where they can get smoothies and non-alcoholic fancy drinks. My son particularly liked the “Superman” and “Bob Marley” drinks. They also have a water park with 2 large water slides for older kids and adults, a lazy river, and splach grounds with 2 slides for young children. We spent a lot of time in the lazy river on our vacation! The food was amazing! My favorite restaurant at Beaches Negril is the teppinyaki restaraunt called, Kimonos. We also ate at the Seville (Italian) and Arizona’s (Tex-Mex) which we enjoyed as well. The beach grill is a must for lunch with Jamaican Jerk Chicken and Jamaican Beef Patties. They also have added Dino’s Pizzeria which was a favorite of my sons with made- to-order brick oven pizzas. One night a week they have a beach party where they set up an amazing buffet on the beach with food from each of the resorts restaurants. The entertainment at the beach party was also great with lots of music, dancing, local talent, etc. There are plenty of daily activities and nightly entertainment options for those of all ages. We also had the opportunity to experience Butler Service at Beaches Negril. The butlers will take care of your every need. From the moment we checked in, he took care of us even taking us to our room for the check-in process. He asked us if we were beach or pool people in which we responded beach people. Every morning of our vacation, our butler set up a special spot on the beach for us with a fully stocked cooler for the day. He also helped us set up a trip to Rick’s Cafe which is home to the famous cliff divers and some of the world’s most beautiful sunsets. Our butler, Conrad, was amazing and I would highly recommend him to anyone who wants to go to Beaches Negril to experience this great level of service. Beaches Negril is a perfect resort for anyone wanting to relax on the beach or have many options as far as water and land activities go. I travel to Jamaica at least once a year and can’t wait to go back! For more information call me, Brandi, at 402-281-3022. We spent our honeymoon at the Sandals Negril in Negril, Jamaica. It was the best honeymoon anyone ever could have dreamed of. In the planning stages, we worked with Kem who was attentive to our every need and wanted to make sure that our honeymoon was exactly what we wanted it to be. We had called other travel agencies and it seemed like they wanted us to know where we wanted to go and then just give them money, whereas Kem totally listened to what we were looking for for our honeymoon and made sure it was exactly as we hoped it would be. We loved Negril and want to go back as soon as possible. 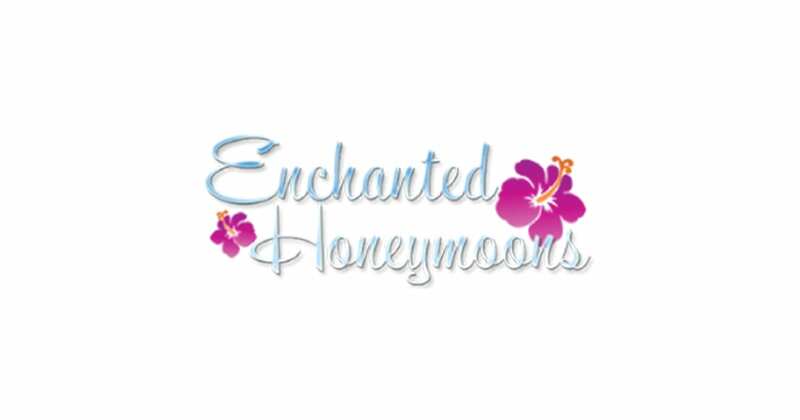 Thank you to Enchanted Honeymoons and their entire staff for making our honeymoon perfect.